This app was just released for the iPad on June 29, 2012 and is FREE for a limited time. PlaySquare is billed as “touchable television” which lets your child (ages 3 – 6) play and learn in Word World. 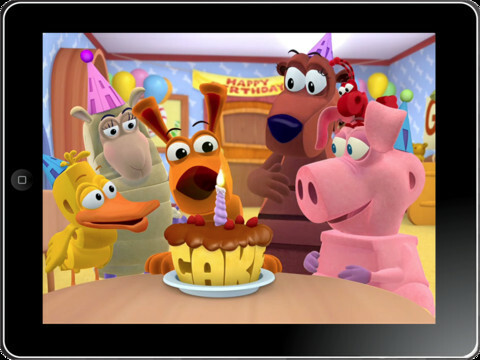 “Happy Birthday Dog” is the first episode. There are so many wonderful things about this app. It is colorful and engaging. Early literacy skills (letter recognition, letter sound, word building, word recognition) are developed throughout the story. The characters are funny and lovable. And, I especially like how the letters of the word form the object being spelled. I LOVE this app! Highly recommended – one of the cutest and best apps that I have seen so far!